Immigration has been one of the dominating issues in this campaign. 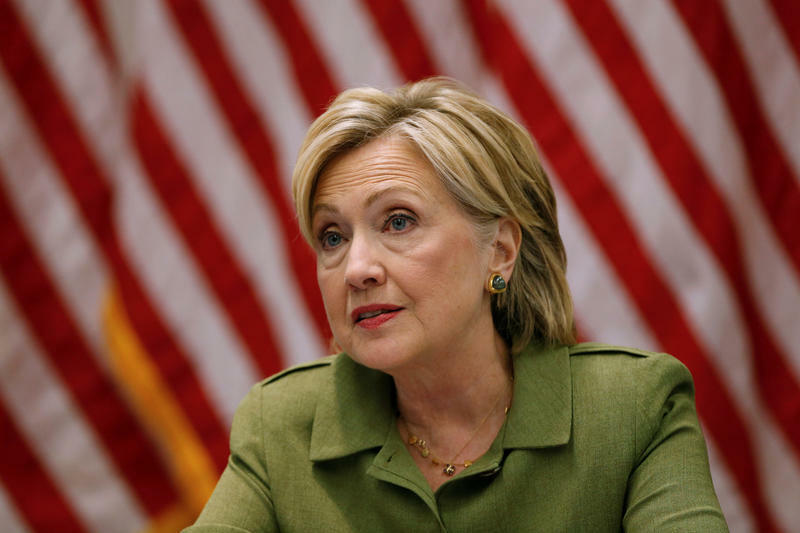 What would the immigration policies of President Hillary Clinton look like? First of all we have to pass a comprehensive immigration reform. That is what one of her priorities in the first 100 days of her administration. We have to provide a path to citizenship for hard working people in our country. That’s the right thing for our economy; it’s the right thing for families. What Donald Trump is presenting is not just unrealistic, it’s incredible dangerous and divisive. He is talking about a building a wall and getting Mexico to pay for it. He is talking of creating a deportation force to go around and pull hard working families out of Florida and send them oversees.It’s absurd and unrealistic, but even the fact that he suggests that only serves to divide and flame divisions. 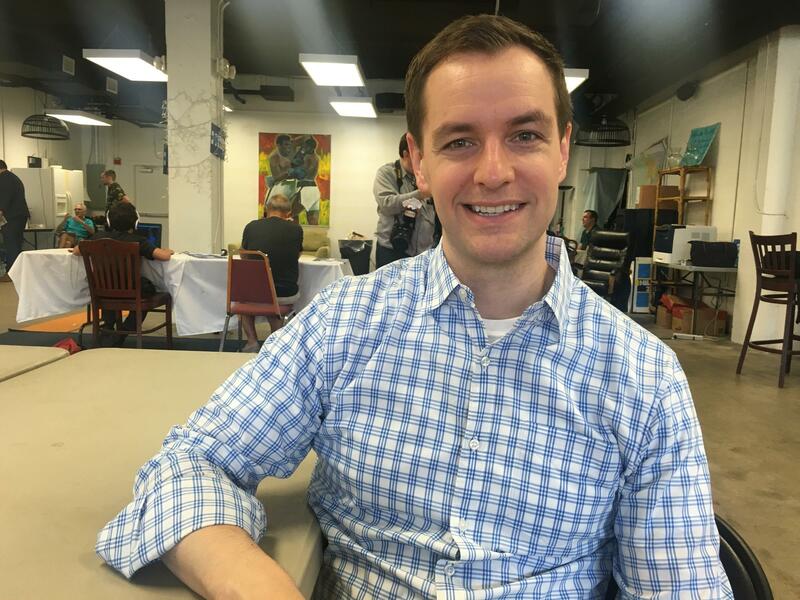 It’s so important that voters turn out in this election and send a very loud message, not only that we need a comprehensive immigration reform, but that Hillary is a candidate who can work with both parties to get that done. We have to reject the kind of bigotry and racism we are hearing from Donald Trump. According to polls, many voters don’t seem to be making their decision based on policies. For many it seems to be more about which candidate they want to prevent from winning. Can you actually reach people with policies? What this election should be about is people’s everyday lives and what’ going to make a difference to families. Hillary has said at the Convention that she does sweat the details of policy, because the details of policy we are talking about is if should families stay together, whether somebody does get that path to citizenship, if someone who is a citizen can find a good job, if they can get the pay they deserve. Maybe they are getting paid less, because they are a woman or they are a person of color. That' what it should be about. Unfortunately there are really existential questions here about who we are as a country. We are a country that believes we are stronger together, when we respect one another, when everyone has a seat at the table and everybody is part of solving this problem. We are going to have more problems once we start pushing people away from the table and driving wedges between people of different communities. You have worked in other campaigns. Are all the emotions and accusations making this one different? I think there is more at stake than in any other election I have worked on. On the one hand that helped us to grow, to have more volunteers, to have more enthusiasm, than I have ever had before. But I do think it’s unfortunate that the voters in this country don’t have a Republican candidate who believes in what I consider mainstream American values and who is proposing such a dangerous set of policies and who is unfit for president. But we are stepping up the challenge and the task and we are going everything we can to make sure every Floridian knows how to vote, when to vote and make sure that they all know how important it is that make our voices heard. Speaking to people at Trump events here in Florida, we keep on hearing that many people plan to vote for him just because they want to prevent Hillary Clinton’s presidency. They call her corrupt, mention her using her private email account as a State Secretary or the controversy around the Clinton Foundation. How do you address these accusations? Hillary said she needs to work hard to gain people’s trust and she is doing that. The right wing and the partisan Republicans on Capitol Hill are doing everything they can to drag her, her reputation and her record trough the mud. When she was Secretary of State she was the most public official in our country. Her job approval was 70 percent. You got Republicans like Lindsey Graham and John McCain say what a fantastic job she did. So some of this now is just election year politics. We are going to push through that. When people look at her record, they are going to see someone who worked across the aisle to get healthcare for 8 million kids in this country, who got the largest reduction of nuclear weapons in our nation’s history through a Republican senate. She knows how to get things done. Why do you think so many people actually believe those who say that Hillary Clinton is a corrupt person? Why does it stick with many voters? The Republicans have done a good job of keeping that in the news. Hillary said that the email server was a mistake, she has taken responsibility for it and she has apologized. I think at the end of the day when people cast their vote, they will choose the person, who they believe is going to fight on their side. They will think about, whether that person is going to create an economy that works for everybody, not just the top and wether that person is fit temperamentally and experientially to be our commander of chief. Hillary Clinton is going to pass all those with flying colors. Donald Trump is probably the most unfit person in modern history to seek the presidency. We will work hard to make sure that she gains people’s trust. Doing public events is an essential part of gaining trust but we haven’t seen her much recently doing public events in Florida. Will people in Florida see more of her soon? She will be doing a lot of public event here and we look forward to doing as many as we can. She is going to make that call for action for everybody to get out and practice that right to vote. Otherwise we could wake up and Donald Trump could be President. At the moment polls for Hillary Clinton look good, but what efforts will you put in to swing Florida her way in November? We are all in for Florida. We are not taking any vote for granted anywhere in the country. But we are investing very heavily in Florida, because, of the so-called battleground states, Florida is by far the largest. Obviously this is an exercise to get to 270 electoral votes and with 29 of those being in Florida, it’s very important. In your opinion ,which topics do matter most to voters here? I think voters here want the next president to create an economy that works not just for those at the top. They are looking for somebody who can create jobs. That is why Hillary has proposed the biggest investment in jobs here in America since World War II as well as investments in our infrastructure, in our schools, in high-tech manufacturing. They are looking for someone, who is going to make sure that women are being paid the same as men for the same work. And they are looking for someone, who is finally going to reach across the aisle to work with Republicans on a comprehensive immigration reform bill. Which topics would you identify as typical of Florida? The vast majorities of companies here in Florida are small businesses and Hillary recently rolled out a small business-package that is going to provide both tax relief and a relief of red tape to start a small business. There are actually a lot more barriers from the government to start a business here in the U.S. than let’s say in Canada or many European countries and it shouldn’t be that way. What it’s going to mean is more jobs, so that’s ultimately what she is focused on. Here in South Florida Cuba obviously plays an important role. Especially among the older generation there is a lot of skepticism towards President Obama’s approach of normalization. 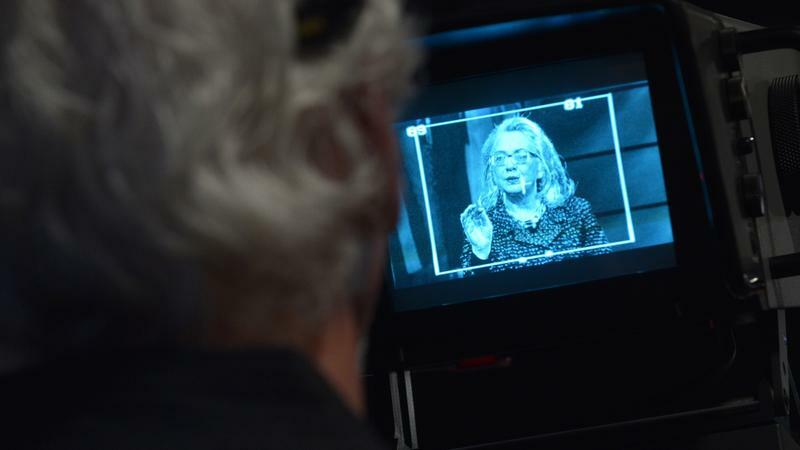 What would be Hillary Clinton’s approach towards Cuba? What I think troubles all of us are the human rights abuses that are taking place in Cuba. What Hillary Clinton believes is that ultimately the right path to creating a free, just and fair society in Cuba is creating more access to civil society. So that academics, religious groups, businesses can interact more with Cuba to make sure that ideas about freedom are reaching Cuba and also creating closer economic ties. Bringing more free market business there, will ultimately create a freer society. This is obviously a very emotional issue and one that is very personal for a lot of people, but I think everybody has the same goal and that is putting an end to the human right abuses taking place there. Does that mean that she would demand more commitment from the Castros before opening up the economy more? I think she has been very clear on the record both as Secretary of State and now as a candidate that the human rights abuses have to end, but again – the way to do that is to get the Cuban people themselves calling for these freedoms, these rights and to partner with them to achieve those. The Washington Post reports that access to presidential candidate Hillary Clinton may have been influenced by donations to the Clinton Foundation when she was secretary of state. At a subdued speech Thursday in Miami Beach, Republican presidential nominee Donald Trump once again hammered Hillary Clinton on tax policy and attempted to drill into prospective voters his credentials as an economy-builder. 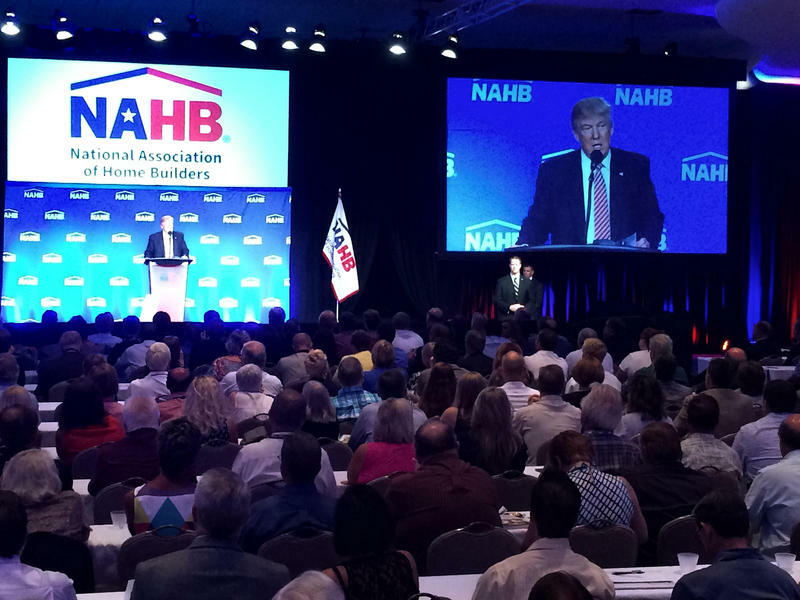 It was difficult to measure the reaction of his audience, the nonpartisan National Association of Home Builders. Trump drew laughs with a comment that Clinton's speeches are, "so short... Go home and go to sleep!" But he saw little reaction to lines like, "Wouldn't it be nice if we could actually get along with Russia?"